117 feet high with the beacon 362 feet above sea level, its light can be seen by ships 40 miles at sea and aircraft 120 miles away. 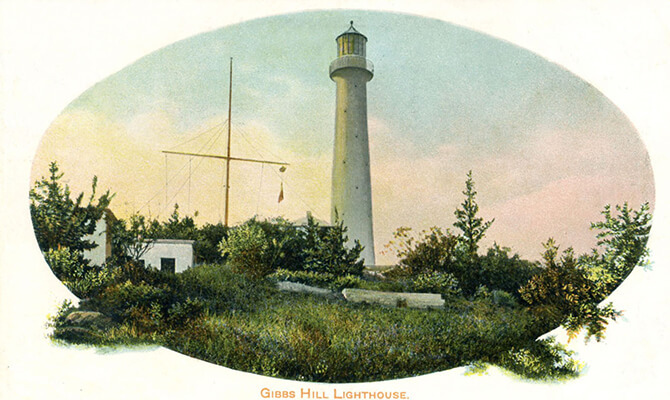 Now the most prominent landmark in Bermuda, the proposal to build Gibb’s Hill Lighthouse was made in the 1840’s. 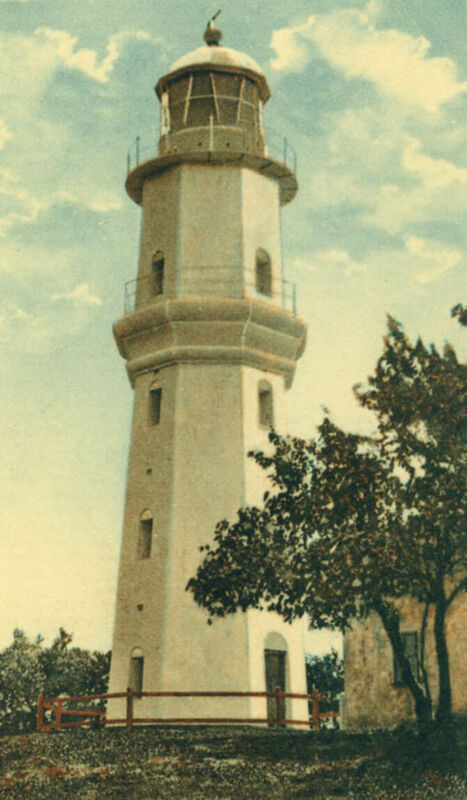 At a cost of £5,500, it was only the second cast iron lighthouse to be constructed. When completed in 1845 the lighthouse was illuminated with kerosene, but is now powered by a 1000-watt electric bulb located in the center of the lens, which is capable of producing up to half a million candlepower. Making a complete revolution every 50 seconds, the lighthouse produces a two-second flash at every two-second interval. A 55-foot high stone structure, the beacon of the St. David’s Lighthouse is 208 feet above sea level and overlooks south shore. 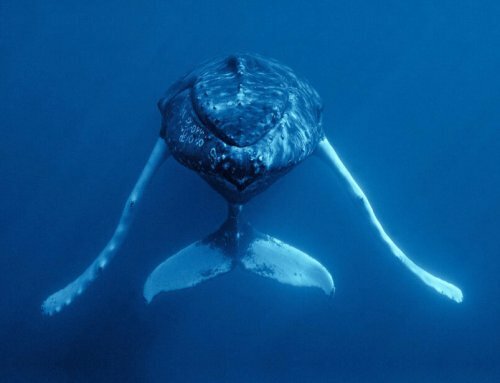 It was opened in 1879 and has a fixed white light of about 30,000 candlepower. The original kerosene burner was replaced with a hood vapor burner in 1922. The St. David’s Lighthouse enables navigators to take cross bearings with the flashing beacon emitted by Gibb’s Hill Lighthouse in Southampton Parish.